Dutch klezmer band. Website in Dutch. Includes information on the Dutch Sephardic Jews, contact info, repertoire of the band, and brief histories. The band also does general Balkan music. Drummer and Composer Aaron Alexander is a New York City based since 1993 klezmer and jazz drummer, composer, bandleader and teacher. His band is “Midrash Mish Mosh.” Hailing originally from Seattle, Alexander is one of the “premier drummers in New York City, a first-call musician on the feverishly creative downtown scene.” He has performances and/or recordings with Hasidic New Wave, Babkas, The Klezmatics, Greg Wall’s Later Prophets, Alicia Svigals, Satoko Fujii Orchestra, Tronzo Trio, Jay Clayton, Margot Leverett, The Flying Karamazov Brothers, Boban Markovich Orchestra and Frank London’s Klezmer Brass All-Stars. English. Composer and soprano. Born,(ca) 1758. Died, 1822. Studied with Thomas Arne. 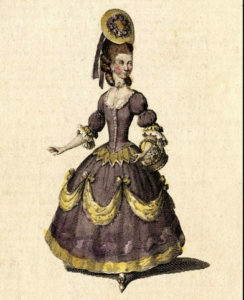 Stage debut in October, 1775 in May Day as little gypsy. She appeared in London concerts, provincial festivals, and a series of Handel Commemoration concerts in 1784. Charles Burney praised “the sweetness and taste of her singing.” Composed vocal works. She also wrote two- and three-part songs. Occasionally her sisters sang with her. Haydn presided at the piano for her benefit concerts held in 1792, 1794 and 1795. She organized the Ladies Concerts, held in the private houses of their aristocratic lady directors, in the early 1790s. More information is available in the Norton/Grove’s Dictionary of Women Composers. Jewish Band for the South African Jewish Wedding Market. Music group based in the Bay area, California, with Achi Ben Shalom – Group’s leader. Singer, guitarist, arranger, and the leader of the band; Jan Padover – World class middle eastern multi-percussionist; Michael Gill – Keyboard player doubling on clarinet; Jeremy Cohen – Bass guitarist; Daniel Hoffman – Popular bay area violinist and recording artist. Styles include Klezmer, Ladino, Israeli, Yiddish, Hassidic, and contemporary American-Jewish songs. American. Born Constantinople, Turkey. grew up in Seattle in a bilingual Ladino and English household. Developed an interest in the scholarly study of Ladino culture, including linguistics and music. Wrote a master thesis in 1935 at Univ. of Washington on A study of the Linguistic Characteristics of Seattle Sefardi Folklore. She incorporated an audio section which was field work and recorded Sephardic women from the Seattle community, including Spanish canticas and romansas, Turkish songs and Ladino songs. The University of Washington had the recordings transferred to better archival storage in 1981. Adriaan Stoet, violin & Tjako van Schie, piano. “Shtil, di nakht iz oysgeshternt– Yiddish music from the ghettos and concentration camps” is the name of their CD. It has selections such as Peat Bog Soldier, Es Brent, Yisrolik and other Yiddish and European songs from WWII and the Holocaust. Website for Israeli musical superstar Chava Alberstein with brief biography, photos and discography. Amit Arieli is a clarinet player born in Israel, and living in Italy. Amit is a “clarinetist with a classical formation, for many years seriously engaged with research and performance of Jewish music – ashkenazy, sephardic, Italian and Israeli.” The website is in Italian. There is a video and list of works. Born in Nuremberg, Germany in 1921. Composer. Studied later in life with Leon Schidlowsky. Lives in Israel on Kibbutz Hamapil. While not providing full biographical descriptions, this finding aid to the Archive of Israeli Music at the Tel-Aviv University, David and Yolanda Katz Faculty of Arts, provides an excellent listing of Israeli musicians. It includes birth date and place of birth, major musical interests, a death date if any, when the person came to Israel, and a listing of major holding items in the archive. For an immediate, if modest, amount of biographical information for getting started with Israeli musicians, this listing is very helpful. The actual holdings in the Archive will, no doubt, reveal much more information about each composer and musician. Samuel Thomas saxes, clarinet, percussion, and composition; Shanir Blumenkranz, bass, oud; Eric Platz percussion. “An Asefa performance displays the diverse traditional and contemporary styles of music from around the Jewish diaspora.” The band plays a combination of original tunes and well known Jewish melodies. Canadian. Singer, Songwriter. Successful career in Israel with Susan Cogan, creating great Israeli standards. Children’s songwriter. Successful career for over 20 years writing Jewish religious songs for children, including holiday songs and songs about Jewish life today. Spiritual Jewish music from Yehuda Glantz, Chaim David Saracik, Yehuda Katz & Reva Le-Sheva and Yitzhak Attias. American. Composer. “Marion Bauer (15 August 1882-9 August 1955), daughter of French Jewish immigrants in Washington state, was a member of what scholars have called the “forgotten vanguard” of modernism…” Musicologist Dr. Melissa De Graaf has written a biographical sketch of Marion Bauer for the Jewish Music WebCenter, which can be viewed here as a pdf file. Dr. De Graaf’s work is copyrighted. Pleasecontact JMWC if you need more information about the use of this article. Israeli ethnomusicologist. Born in 1928 in Bingen, Germany. Her contributions were made at the Jewish Research Centre of Hebrew University. 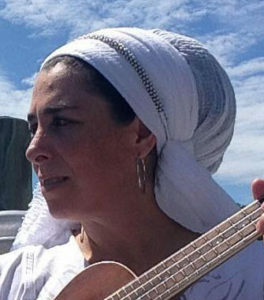 She wrote about the music of ancient Israel, based on archaeology. A Jewish A Cappella singing group of six men. The group tours. No upcoming performance information is yet available on the website, but there is contact information. Choir Director of Gan HaLev. David Ben Or has put up choral arrangements with midi files, score, Hebrew, transliteration and English to liturgical texts. Gan HaLev is a post-denominational Jewish Congregation of the San Geronimo Valley, Marin County, California. Formed in the fall of 1996 by students of the University of California at Berkeley. They perform in the Bay area. American. Vocalist specializes in Jewish music in Yiddish and Hebrew. Lives in Boston area. Lauren Bernofsky is a composer and violinist living in Baltimore, MD, and educated at Hartt College, Boston University and the New England Conservatory. Her music has been published by several houses including Boosey & Hawkes. Cantorial soloist, songleader, music educator, composer of Jewish liturgical music. Grew up in Mt. Vernon, NY. Currently at Temple Beth Shalom in Austin, TX., formerly at Sha’aray Shalom in Hingham, MA (1997-2003), and at Congregation Beth Israel in Austin, (1994-1997). Bachelor, Psychology, Yale University. Masters, Speech-language Pathology from the University of Texas at Austin. American. Born January 22, 1898. St. Louis, Missouri. Founded the El Dorado Conservatory of Fine Arts in El Dorado, Arkansas. Papers held in the American Jewish Archives, Cincinnati. Binyomin Ginzberg has coined a new word to define his Jewish music: “Yeshivish”. It defines one of the musical styles he performs with his small ensemble in New York. The website is of his local New York wedding band. They play “Yeshivish, Chassidic, Israeli, Klezmer, and Contemporary Jewish music as well as Jazz and Classical music.” Contact information provided. American. Born July 16, 1863 in Bielitz, Silesia. Died, August 20, 1927. Moved to US in 1867. Concert pianist, teacher. Studied piano in US and then in Vienna with Leschetizky between 1879-1883. Professionally debuted at Chicago Beethoven Society in 1884. Concertized throughout the United States, in recital and with orchestras, promoting the works of contemporary American and European composers in addition to a vast standard repertoire. Vocals, keyboards, and the occasional nose flute or comb-and-waxed-paper. Currently singing and playing with a band called South of Delancey. This loosely configured ensemble, established in 1993 under the auspices of the Brandeis-Bardin Institute, is currently based in Hollywood and Beverly Hills, California. The group is made up of professional and recording studio musicians. They perform extensively in the area and on television. Brass Hebraica is a brass quintet devoted to Jewish Music. Members of the group reside in Connecticut, but the group is available for performances anywhere. Five very accomplished musicians arrange and perform Judaica brass quintet using eclectic styles. Brass Hebraica is not to be confused with Klezmer. The instrumentation includes: 2 trumpets, french horn, tuba and trombone. For further information contact: Gary Knepler, Director at 120 Harvester Road in Monroe, CT 06468 (203-268-6040) or by email. American composer and performer. Creates original melodies for traditional Hebrew texts with some English.Benson specializes in new age Jewish music. Often works with Cantor Richard Silverman. Has composed music for the CD The Jazz Service with Kenny G that has elements of jazz and rock for a Reform Friday night service. Lots of synthesizers and keyboard. American. Yiddish singer. 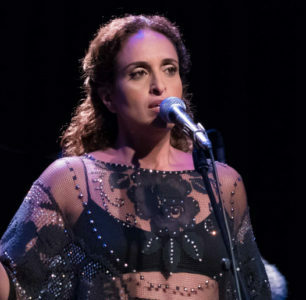 Performs with her ensemble, using varied Yiddish programs of holiday songs, children’s songs and folk and theater favorites at festivals, concerts, schools, at simkhes. Women’s a cappella group performing in the Washington, D.C. area. They are available for Bar/Bat Mitzvahs, Brises/Baby Namings, Weddings and other Simchas.Members include singer-songwriter Rene Boni; lilting soprano harmonist, Sheila Smallberg Cohen; Debbie Fink, Calliope’s violinist and choreographer, sign language interpretator Debbie Glick; Deborah Neipris Hendler, alto; Sandy Lederman, voice and sometime keyboardist. American klezmer musician. Madison, Wisconsin. Jewish singer/songwriter. Her song about Israel, SOULS IN THE BREEZE is on the Jewish Agency for Israel website. Clips of her singing are on her website. I have always felt that writing came through me; it was a gift given to me by some higher power, especially the words. If I had the choice, I don t think I would have chosen this path for myself; I feel it chose me. Jackie s song You Are My Anchor” was #2 on the charts under Elton John s Circle of Love in Holland. He website includes a bio, photos, clips and links. A website for the klezmer group Casco Bay Tummlers located in Portland, Maine, is now available online. The group includes wonderful photos of their recent trip to Vilna, Lithuania. The website contains contact information, reviews, interviews, articles, contact information and links to other sites. Born Dec. 15, 1891 in Vienna. Died Dec. 22, 1977. Soprano. AKA Lotte Schöne Classical music and opera. Concertized widely after WWII. A yeshivish group, formed from several independent musicians with long careers in the music business, has formed a simcha band. Naftali Finkel, composer arranger, keyboardist; Sam Glaser, cowriter, co-composer, engineered and mixed the album; Michael Ian Elias, vocals and guitar; Moshe Schachter, vocals and keyboard. Website high on graphics and low on information, although there are several good clips. Located out of L.A.
Born Toronto, Canada. Moved to Jerusalem, Israel in 1966 where she began singing at the age of 15. In the 1970s in the duo Susan & Fran, these Canadian women achieved fame, with their songs now standards in Israel. Recorded, “Susan Cogan o-n-e”, a collection of her original folk and soft-rock songs. Toured Canada in 1981. 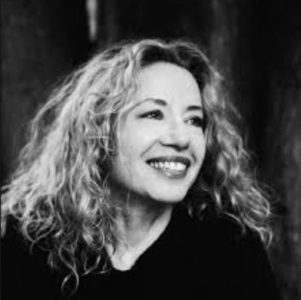 In 1991 Susan created the indie label and recording studio “Nomad Music” together with producer Paul Brosseau. Released CD “Space-Age Primitives” (1993). CD “Gypsy Hill(1999) CD “Mayim” (2001), a collection of popular Israeli songs ranging from the 1920’s to the 1970’s, in Hebrew. Song “Israel Shemah”. American violinist. Plays Klezmer, Sephardic, Israeli, Middle-Eastern and some Romani music and other ethnic music. British pianist. Born 2 Dec 1895 and died London 13 Nov. 1967. Eldest daughter of Florence White and Joseph Woolf Cohen. Studied with Tobias Matthay at the Royal Academy of Music (1912-1917). Known for her performances of Bach. Ralph Vaughan Williams dedicated a Concerto to her, which she premiered in 1933. Lover of the composer, Arnold Bax, but they were never married. She made the first recodings of his music. In 1948, she injured her hand, but continued to play for a time with one hand. Her memoirs areA Bundle of Time (1969).